Located in Uttarakhand, Gaumukh-Tapovan Trek is for adventure lovers and involves sports such as Mountain Climbing, Rock Climbing and Glacier Traverse. It is considered as one of the most rewarding treks in Uttarakhand and passes through orchards of coniferous pine trees at Chirbasa and birch at bhojbasa. The trek from Gaumukh to Tapovan is easy to medium in terms of difficulty and can be undertaken by mountaineers and non-mountaineers with a good state of health. The Gangotri-Gaumukh trek will take you to Gomukh (cow’s mouth), the snout of the glacier and the legendary source of the river Ganges. On the other hand, Tapovan is a meadow in the middle of the mountain-called Bugyal in local parlance. The mention of this place can be seen in several scriptures and many famous sages are said to have visited this place to meditate. There is no straight trail to Tapovan and you are required to cover a rock-fall area. Celebrated as the ‘Abode of Gods’ in the Hindu mythology, the Garhwal Himalayas are home to many religious places such as Rishikesh, Gangotri, Yamunotri, Kedarnath and Badrinath. 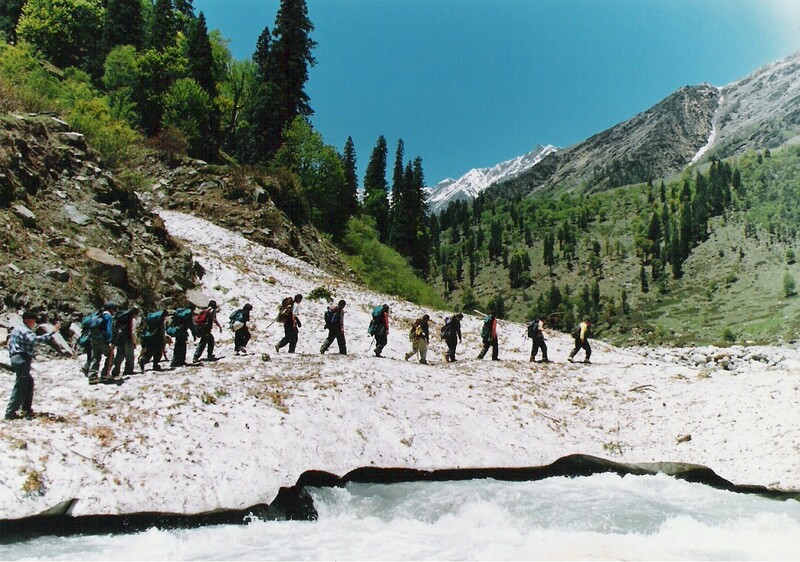 Also, Gaumukh-Tapovan Trek is considered as a trek which even non-mountaineers can undertake comfortably. Take a journey from Delhi to Haridwar via bus, taxi, train and flight. Besides, you can take the Haridwar- Uttarkashi-Gangotri route via bus or taxi. Keep minimum luggage but make sure to have all the necessary equipments and clothing. It is advisable to hire a porter or two if necessary or required. If you won’t carry much load, you’ll be able to cover more distance in a day. For those visiting in a tourist season, it is not necessary to carry tents and food resources. There are ashrams and guest houses where you can take rest and book accommodation. Since Gaumukh-Tapovan lies in a national park, you need to seek permit from Uttarkashi for the same. Only 150 people are allowed per day and you need to get your permits arranged well in time. If you are not travelling in a group, the best is to become a part of another group. 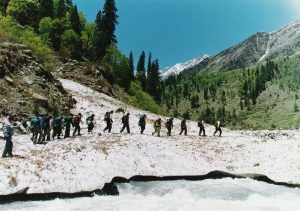 There are several travel agencies which arrange mountain treks such as Gaumukh-Tapovan Trek and have several packages listed on their website. This will help you lessen your journey cost.